In the new era of business transformation, an increasing number of businesses are looking at reorienting themselves into a process-centric and a customer-focused organization. Each day presents a new set of challenges and risks for companies operating in a fast-changing marketplace. Market pressures and changing business needs demand a fundamental shift in the way companies approach business processes. Companies are aiming at streamlining these processes in order to quickly respond to changing market conditions. This shift in thinking has led businesses to the evolution of Business Process Management (BPM). BPM is not a silver bullet to a company’s problem nor is it just about the process. 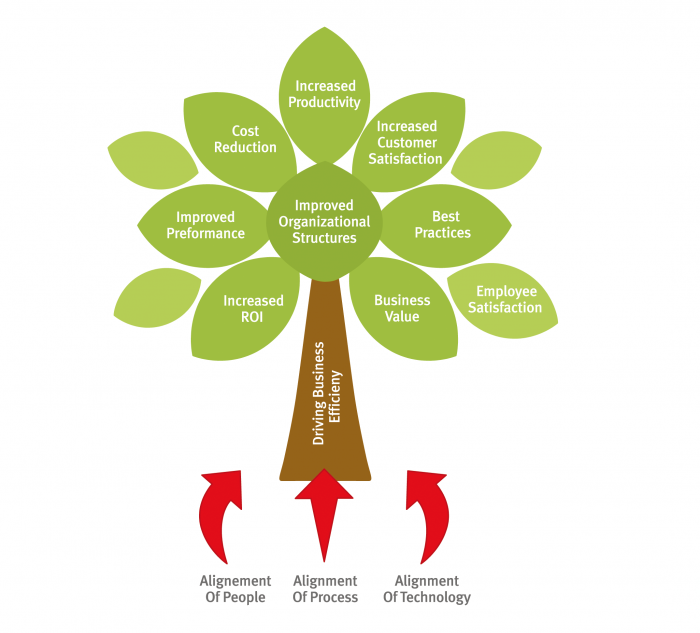 The core of BPM dwells on balancing the alignment between people, processes and technology to drive improvements which results in maximum value, enhanced business performance, cost reduction, increased productivity and better adherence to best practices.